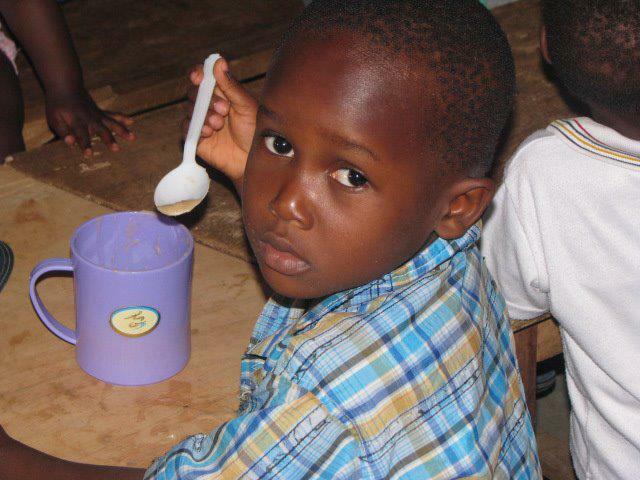 Without Point Hope's feeding program, this little boy might only have one meal for the entire day--here, he is getting a morning favorite -- "Tom Brown", a local hot porridge. In Ghana 80% of children suffer from some form of malnutrition. Point Hope feeds roughly 200 children and vulnerable adults twice daily at local nutrition sites within three different regions of Ghana, which includes two refugee camps, villages, and local communities. Point Hope successfully rehabilitates approximately 15 children and elderly persons monthly as we give them the tools for healthy growth and maintaining good nutrition.